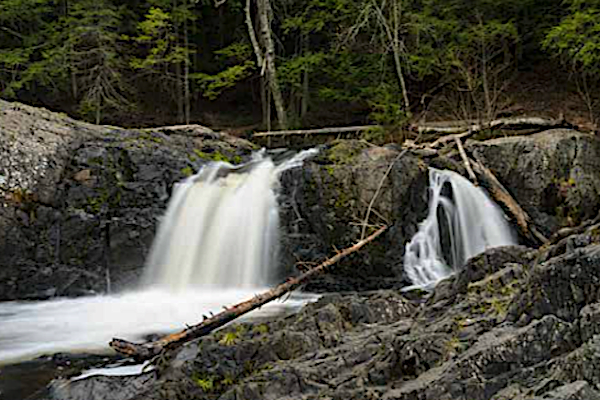 Locally, the Dead River Falls are well known, but they aren’t as well known state-wide. 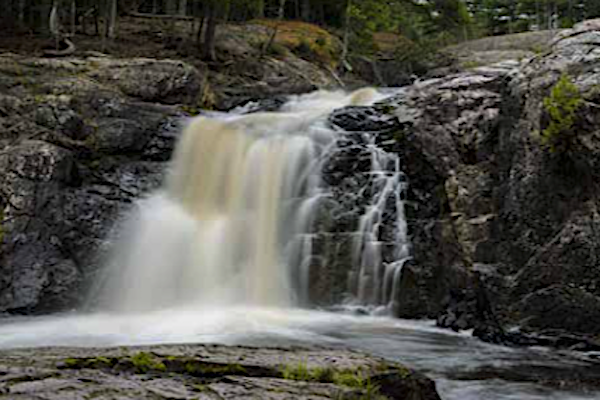 Today, Greg Kretovic, author of Waterfalls of Michigan, takes us on a visit. Here is his report. Dead River Falls is a popular destination for local college students and thrill-seekers who cliff-jump into the river. 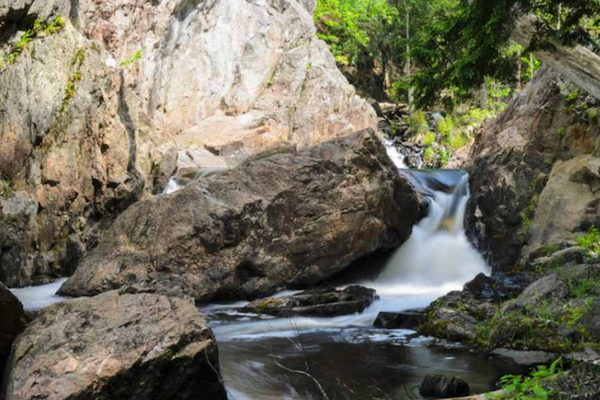 At the wild and rugged falls, you’ll instantly forget you’re only a few minutes from town. If you’re looking for adventure and some amazing terrain, this place is for you. The Dead River Falls are actually made up of several waterfalls. For a half mile, the river flows through a gorge of steep, rocky terrain and drops in elevation nearly 100 feet. Between the first waterfall and the last, you will discover some incredible spots to view the river—whether from a bluff or up close on jagged volcanic rock. Along the way, the river twists and turns through a forest of giant hemlocks, cedars, and pines. What makes this trek adventurous and different from the other waterfalls is the hiking. It can be difficult at times, and extra caution is needed. The trails can be steep, narrow, precarious, and strenuous. I would say that most can handle the conditions, but you should be advised of just what you’ll be taking on. Directions to Dead River Falls: From Marquette, travel west on US-41/M-28 to the stoplight where Target and Walmart are located. Turn right (north) onto Co. Rd. HQ, and drive for 0.7 mile to Forestville Rd. Turn left and follow Forestville Rd. for 2.2 miles to the end, where the road will make a loop. You will see a small parking area, an outhouse, and an old powerhouse building. The nearest town is Marquette.